In 1900, Lawton L. Pratt established a funeral home in the African-American Community of DeLand, Florida on South Clara Avenue. 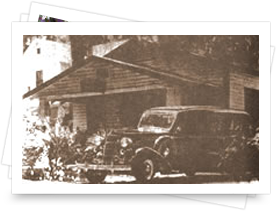 Mr. Pratt’s business offered services in the city of Palatka and had a funeral home in Jacksonville; still in operation today (Hillman-Pratt & Walton). To the community were other establishments in addition, however, the Pratt name having been well-known throughout the state brought a larger volume of business to the DeLand office. 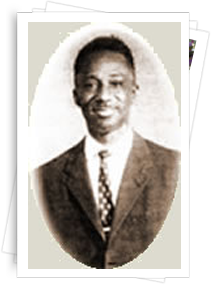 In 1932, he hired Arthur J. Mack, a native of Palatka to run the office DeLand office and made him full-time manager of this office in 1935. That same year, Arthur married a DeLand native, Edna Mae Hall. Mr. Pratt died in the early 1940’s. 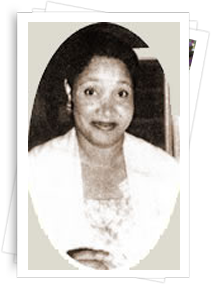 Shortly after his death, Mrs. Pratt allowed Mr. Mack and Mr. Leo Hines to purchase the business and in 1946 they established Mack & Hines Funeral Home. In 1954, the partnership dissolved and the name was changed to Arthur J. Mack Funeral Home. Prior to this name change, now Reverend & Mrs. Mack contacted their dear friends/cousins to assist in operating the establishment (Charles Sr. & Ruth Cusack & their sons, Charles Jr. & James). The funeral home also offered ambulance services as well and employed several members of the community. For more than 50 years, the business was located at 234 South Clara Avenue in an area of town known as “Wright’s corner” where several black-owned businesses were in operation, to include the local physician(s), theaters & restaurants. In 1970, the Cusack’s donated a parcel of land to Reverend Mack to build a new establishment. In doing this, they were “promoted” to partners of this business and on February 14, 1972, the 4,000 square foot home was officially opened at 797 (now 727) South Stone Street. On December 22, 1975, Ruth Cusack died and October 2, 1977, Charles Allen Sr. “Sonny” died. During this time frame, their son James was manager/embalmer/funeral director of James Davis Funeral Home of Jacksonville and in 1979 returned to DeLand to serve as manager; also managing Sunset Funeral Home, Titusville (now Lewis-Ray Mortuary). Over the years, the business continued to grow and improvements were made. 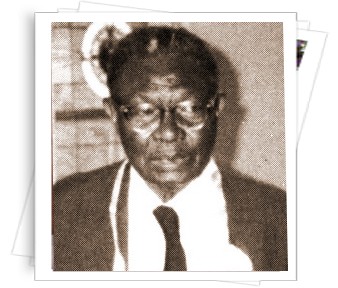 January 29, 1988, Edna Mack died and soon after, Reverend Mack’s health began to fail and in 1995, he officially retired and taking a less active role. On December 19, 1997, Reverend Mack sold the business to James Cusack; out of respect, his name remained on the building. Upon the purchase, the building underwent some renovations, among them was a refrigeration unit, conference room and the living quarters were converted to more office space, reception room & additional reposing areas. In 2002, the name J. E. Cusack & Son Services was added to the establishment. Shortly thereafter Charles “Allen” III completed studies in mortuary school, (and was promoted to manager) where he reconnected with a longtime friend Rodney Rocker, who was officially hired May 12, 2007. It had been a goal to open an additional establishment for more than 10 years and three different areas had been selected. Plans began for all three sites and eventually, Leesburg, Florida became the primary focus. Reverend Mack died February 14, 2007 and Charles “Chuck” Cusack Jr. in November 13, 2009. Renovations to a building at 1022 East Main Street in Leesburg began on February 8, 2010. October 1, 2010, Reverend Mack’s name was removed and the name J. E. Cusack Mortuary was made official. A month later the Leesburg office (Rocker-Cusack Mortuary) was opened for business. On November 28, 2010, Rocker-Cusack Mortuary was dedicated and celebrated its grand opening with an overwhelming crowd of visitors, family & friends. 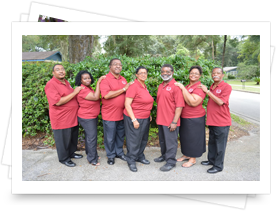 On October 17 , 2014 the Bailey Family (James, Charles Jr. & Wanda) of the Charles P. Bailey Funeral Home of DeLand merged their company and became a part of the Cusack family’s establishment and the Bailey’s have become a part of the staff. The vision remains strong of caring, courteous, compassionate and sympathetic service.